While Eric’s research can be time consuming, he loves digital photography because of the technological science involved. His two teenagers also keep him busy, and he is a diehard Cardinals baseball fan. Eric works in the field of genomics. Everything from cars to houses has a blueprint of information that defines its creation and operation. The field of genomics studies DNA, the information molecule of living cells, to understand how living organisms are created and operate. “If we knew what we were doing, it wouldn’t be called research.”- Albert Einstein. Eric was born into a scientific family and would often hang out with his father, a virologist, in the lab on the weekends. Though Eric briefly considered a career in law, he ultimately chose to pursue science. By his junior year in college, Eric realized that he loved being in a lab more than anything else, but he stresses that there was no master plan that led him to where he is today. Eric encourages aspiring scientists to understand that discovery is a journey, and that much of his own journey in genomics was about making the right connections at the right time. Eric was studying a rare genetic disease with a trainee to look for the relevant mutation that caused the disease. One of the reasons that they couldn’t find the mutation was because they allowed their biases to drive where they were looking in the DNA. This led to six months of frustration that didn’t end until they opened their mind to consider different possibilities. Once that happened, they were able to find the answer they sought. While successful in the end, Eric notes the risks of bias in scientific endeavors. The human genome project, beginning in 1990, involved sequencing the building blocks of the human genome for the very first time. By 2003, all three billion building blocks necessary to make up one human genome were sequenced. It cost upward of a billion dollars, but was possibly one of the most influential developments in any health-related scientific field. This development provided a remarkable foundation, and the cost of sequencing a genome has dropped to a little over a thousand dollars today. Their goal is to get the price of sequencing below that thousand dollar mark in the future. Eric was invited over ten years ago to be a part of a multi-disciplinary scientific delegation for a new medical school in Ecuador. He attended a celebration in Quito, Ecuador and was able to travel to the Galapagos Islands with esteemed scientists, including Ian Wilmut from Scotland, the first person to ever clone an animal. Eric loved the biodiversity they witnessed from island to island and wants to go back to take better pictures than he could with his camera from ten years ago. Eric has had a lot of fun as a scientist, and he describes how his former labmates used to squirt him with water pistols to keep him away from working at the bench. He also shares another memory from his postdoc days with Maynard Olson. During the construction of Maynard’s new lab, Eric was enlisted at the last minute to help design the lab. Five minutes into the meeting with the architect, Maynard left and never came to another meeting. It was ironic in hindsight because when Eric received his first faculty position after Maynard had left, the lab Eric designed then became his own. The most foundational skills you can have are learning how to write well and speak well. Communication skills are critical in science, which is more social than stereotypes lead people to believe. It is also important to be a life learner throughout your professional life. The National Human Genome Research Institute (NHGRI) at the National Institutes of Health (NIH) is the largest organization in the world solely dedicated to genomics research. While directing an independent research program for almost two decades, Dr. Green was at the forefront of efforts to map, sequence, and understand eukaryotic genomes. His work included significant, start-to-finish involvement in the Human Genome Project. These efforts eventually blossomed into a highly productive program in comparative genomics that provided important insights about genome structure, function, and evolution. His laboratory also identified and characterized several human disease genes, including those implicated in certain forms of hereditary deafness, vascular disease, and inherited peripheral neuropathy. As Director of NHGRI, Dr. Green is responsible for providing overall leadership of the Institute’s research portfolio and other initiatives. In 2011, Dr. Green led NHGRI to the completion of a strategic planning process that yielded a new vision for the future of genomics research. Since that time, he has led the Institute in broadening its research mission; this has included designing and launching a number of major programs to accelerate the application of genomics to medical care. 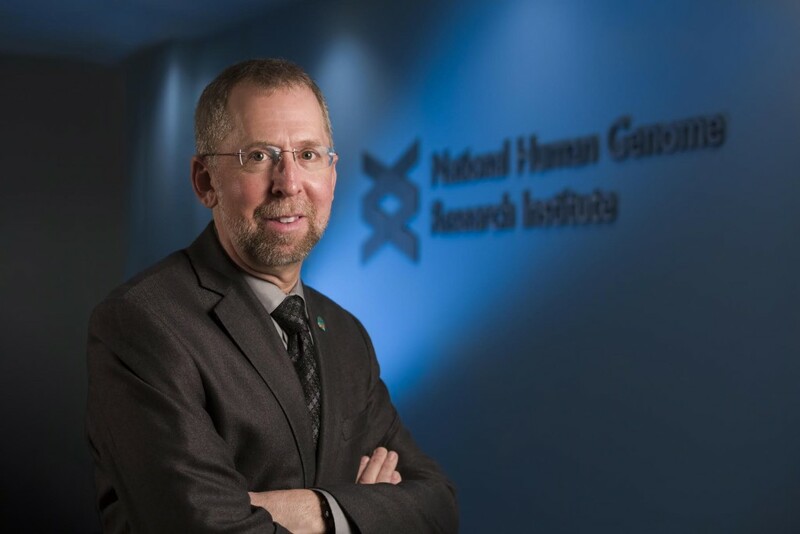 With the rapidly expanding scope of genomics, his leadership efforts have also involved significant coordination with multiple components of the NIH, as well as other agencies and organizations.